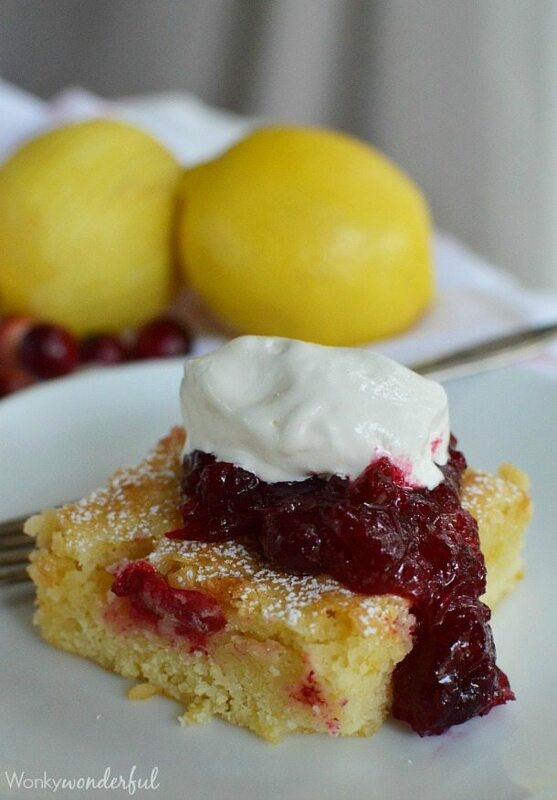 Cranberry Lemon Bars are an easy holiday dessert recipe. These bars have the consistency of brownies with a sweet-tart flavor. 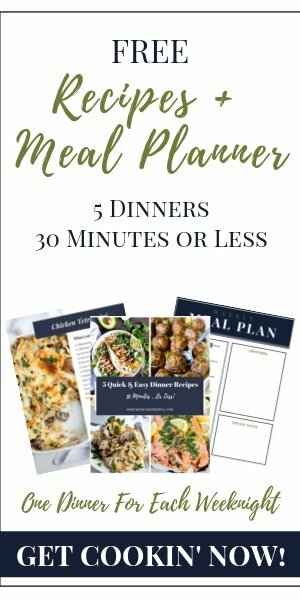 Perfect for a Thanksgiving treat! I am a fan of pretty much any dessert. But there are those folks that are not chocolate fans. No really, they are walking among us. You could be sitting next to one right now and not even know it! For my holiday dessert table, I make a festive dessert, chocolate dessert and a non-chocolate dessert. I like to make sure everybody is happy with a full belly! 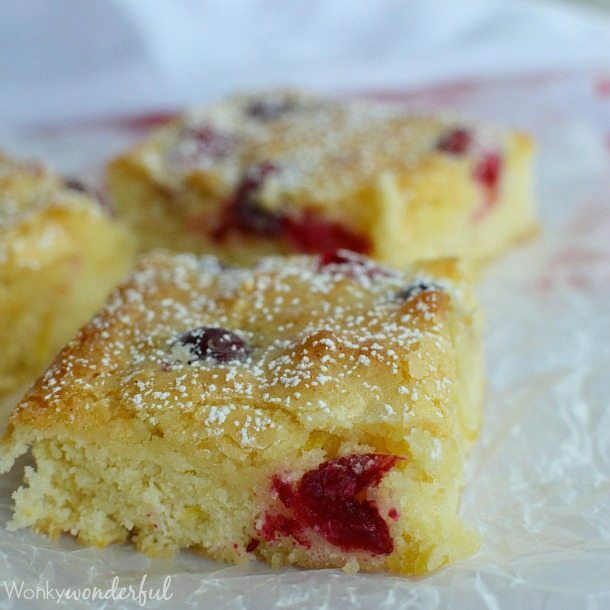 These Cranberry Lemon Bars have the consistency of fudgy brownies, without the dark or milk chocolate. Bursting with fresh lemon flavor and tart cranberries. This is the perfect holiday dessert for those who enjoy a little Za-Za-ZING!!! I made these Lemon Bars with Bob’s Red Mill Unbleached All-Purpose Organic Flour, fresh lemons, fresh cranberries and white chocolate. Fresh Produce + Quality Ingredients = A Fantastic Holiday Dessert! 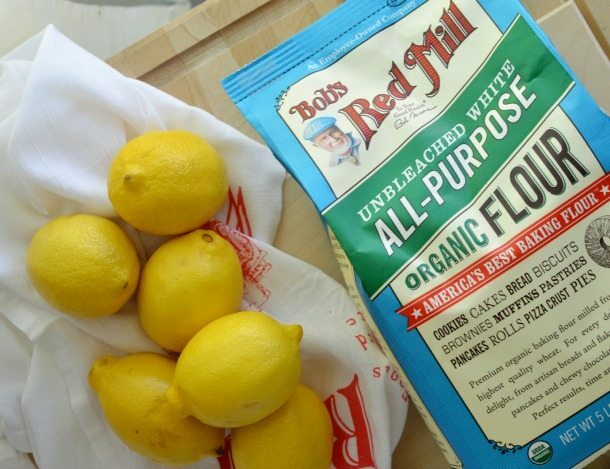 CLICK HERE to download a $1 off coupon for any Bob’s Red Mill Product! 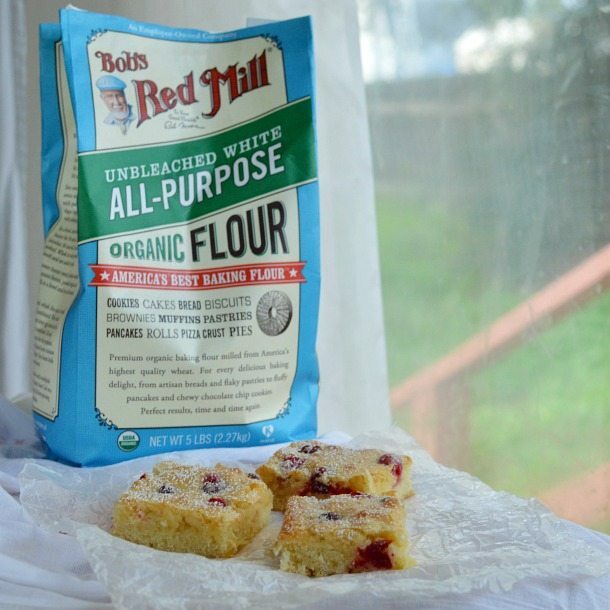 Bob’s Red Mill Unbleached All-Purpose Organic Flour is incredibly versatile and perfect for all of your baking needs. It is a high quality flour that is not enriched with any additives. This is the same high protein flour used by professional bakers. I have an obsession with lemon desserts and cranberries. 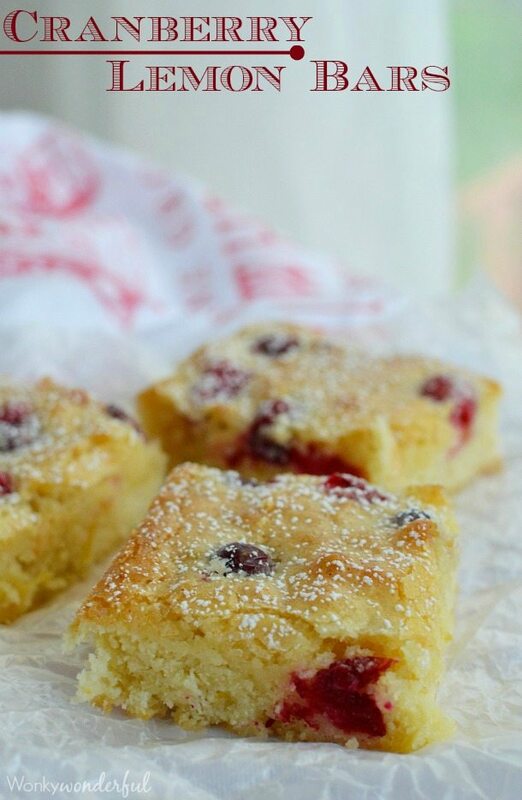 So these Cranberry Lemon Bars are a winner in my book. But they also got rave reviews from my taste-testers. People were fighting over the last square!!! Line 9x9 baking dish with foil. Spray with non-stick. Melt white chocolate and butter in microwave for 15-30 seconds. Stir until free of lumps. In large bowl; mix sugar, lemon juice, zest, white chocolate mixture and eggs. Pour batter into prepared pan. Arrange cranberries evenly into batter. Bake for 35-40 minutes or until a toothpick can be inserted and removed clean. Allow to cool. Remove foil and bars from pan. Peel away foil then dust with powdered sugar. If you are serving these Cranberry Lemon Bars for Thanksgiving, top with a generous dollop of cranberry sauce and whipped topping for the ultimate holiday dessert experience! Can you make this with dried cranberries?? I can’t get fresh ones where I live. I’m sure dried cranberries will work fine. You could also rehydrate the dried cranberries in a little water before adding. Just be sure to drain and pat dry before adding to the batter if you decide to give that a try. What a great, festive dessert! Bob’s Read Mill is one of my favorite… love them! 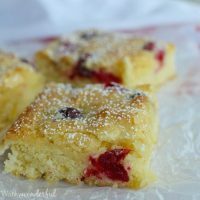 I am a sucker for lemon bars and love the idea of mixing in cranberries. 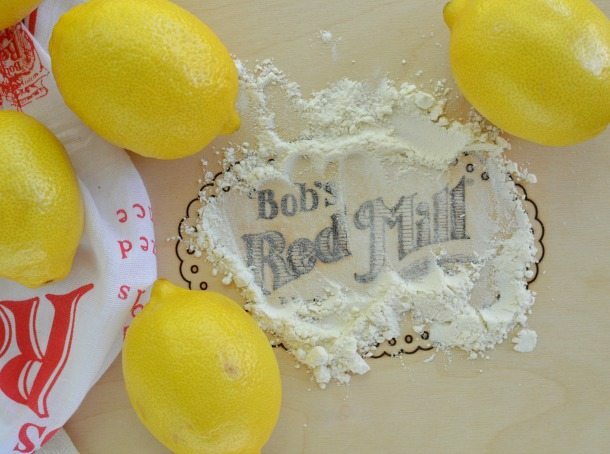 And Bob’s Red Mill? Yep, I have about 4 of their products in my pantry as we speak. These look heavenly! Boy I love cranberry season. Thanks! And so do I. I have a bit of a cranberry obsession! Thank goodness my hubby is a chocolate AND a lemon fan! These scrumptious bars would certainly be a hit at our house. I pretty much love any dessert too! These look like an awesome choice for the holidays. These look/sound fantastic! Can’t wait to try my hand at them. Would frozen cranberries work for this recipe? Hi Ariel. I would imagine that frozen cranberries would work fine. But, I have never tried it so I can’t say for sure. These bars are ideal for the holidays! So delicious! I doubled the recipe as I have 2 cookie swaps.. The yield was very low. I was surprised that only 1/4 cup of cranberries was called for. I did 2 pans so 1/4 cup each but that was like 10 cranberries per pan. I was afraid to add more as I was afraid they would break when I tried to cut them. Anyway, the consistency was more cake-like than gooey. I cut the sugar to 1./2 cup for 2 batches, as I figured the white chocolate had tons of sugar already. If I make them again I would want to add tons more cranberries which would add more color too.. I could send a picture if you want. The taste is yummy. Very lemony but as I said I would add maybe a 1/2 cup or more per batch. That would give it more color and flavor!